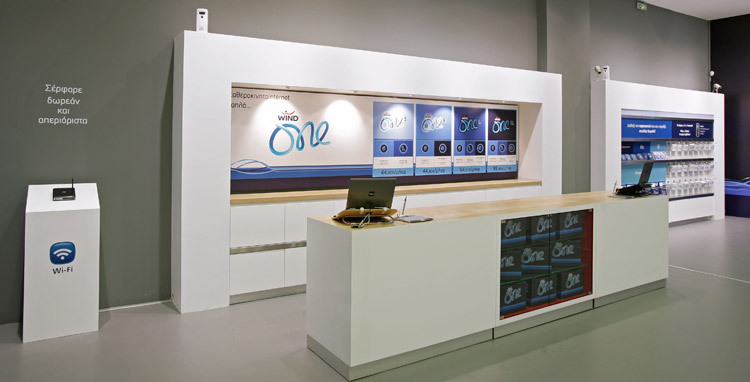 The company's retail marketing team first partnered with MILK in 2007 when they were looking for solutions to turn a fine architectural concept into a branded, lively and customer friendly retail environment. 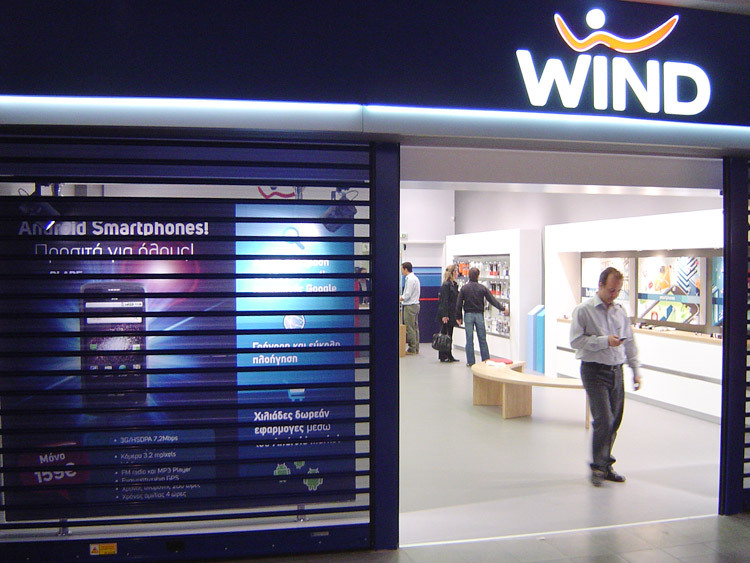 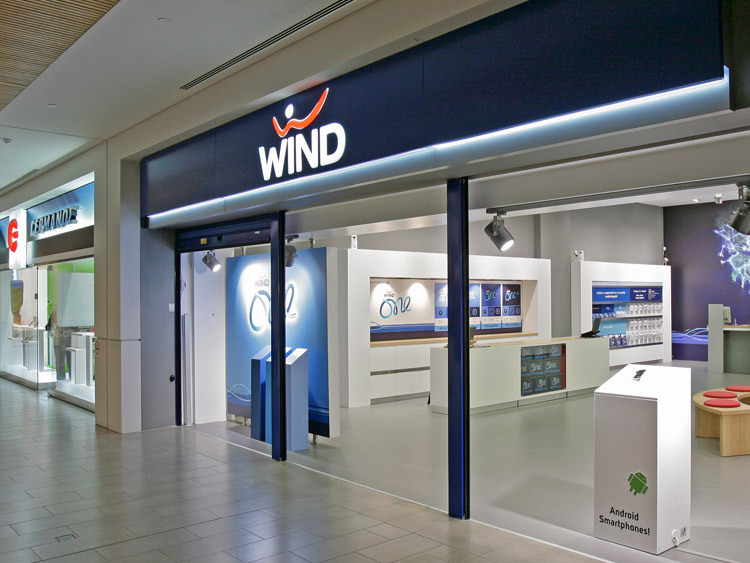 Three years later, in 2010, they came back to us to develop together a new holistic concept for WIND's stores network, combining architectural and environmental graphics design. 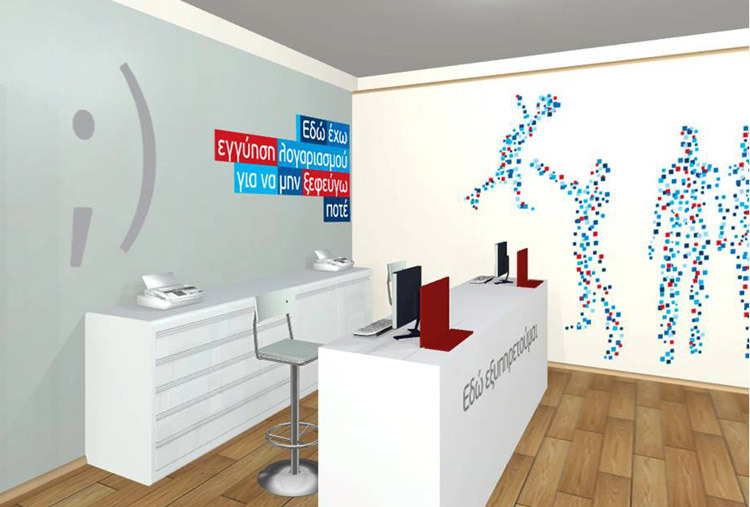 We redesigned the customer journey, we changed the position and the function of workstations and service points to develop an environment that would change the roles of the salespeople and we added new areas and novelties to enhance the overall customer experience and reinforce interaction between salespeople and various customer segments. 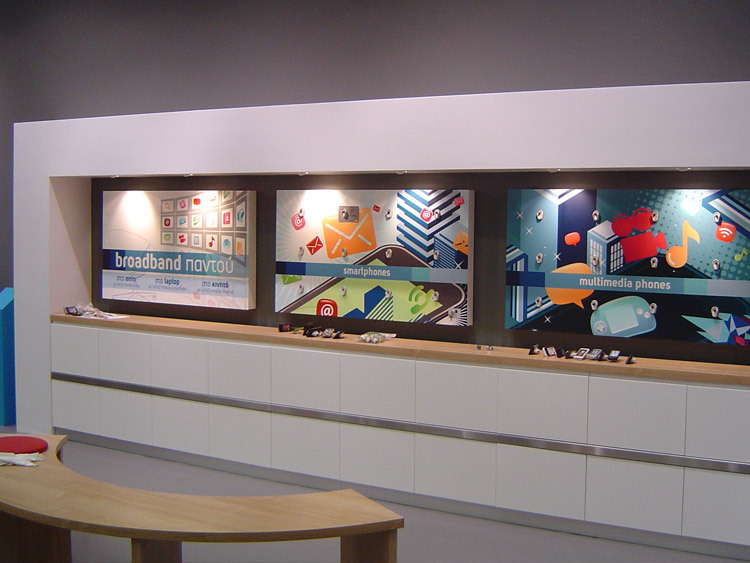 We also added innovative boards and experiential displays to bring products in customers' hands and we created specific areas and materials for brand communications, consumer promotions and product launches. 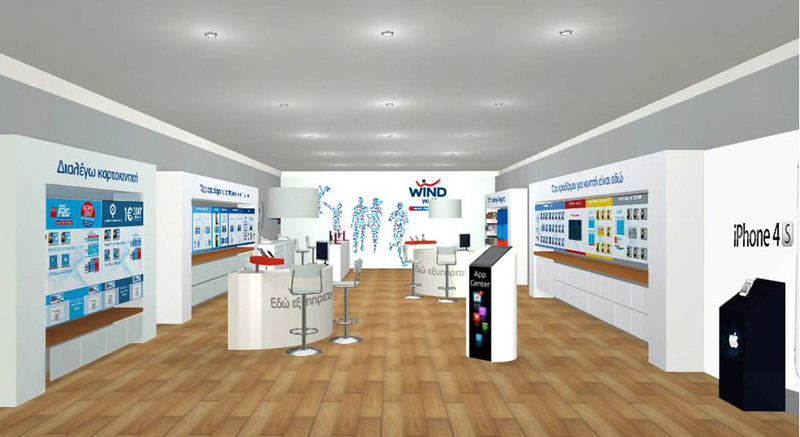 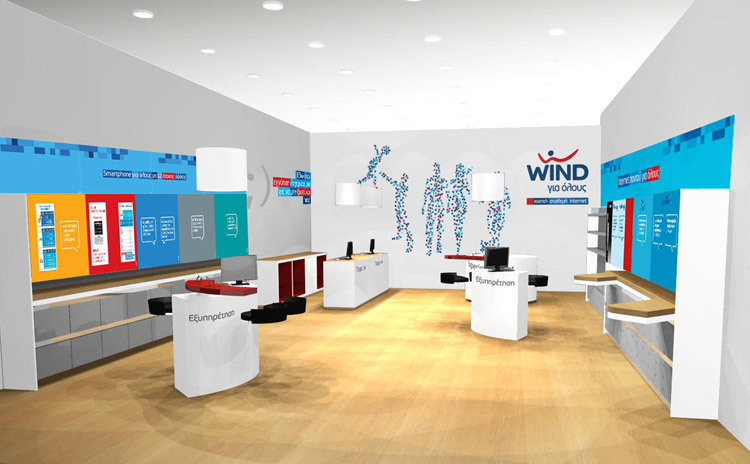 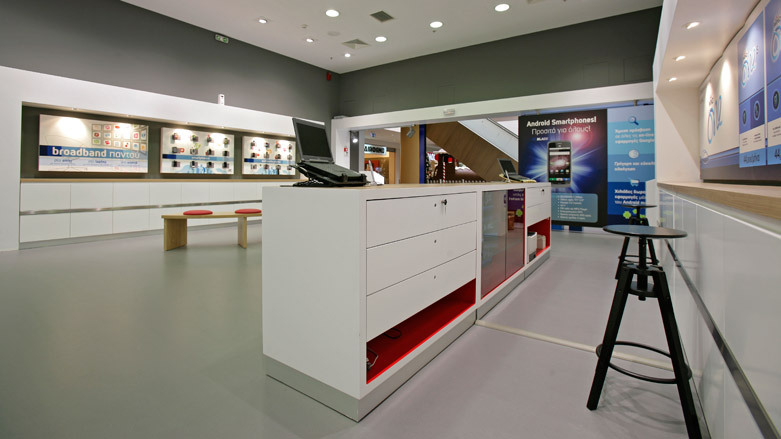 The new retail design improved functionality and sales efficiency and enhanced Wind's perception as an innovative and caring telecoms brand.